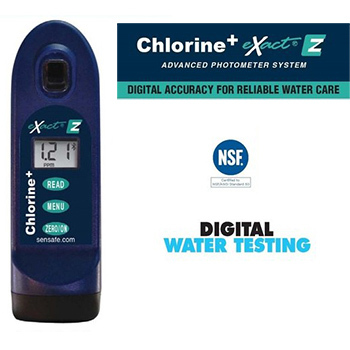 Introducing the Chlorine eXact Z Photometer, an economic electronic water meter for chlorine and 8 other parameters. 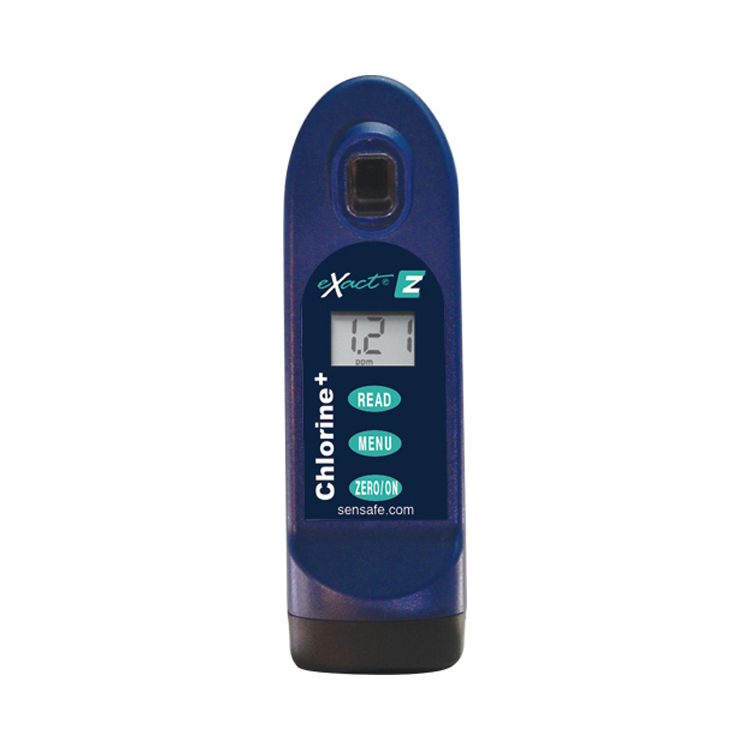 This water tester is ideal for residential, commercial, and municipal water testing, where precise Chlorine measurements are required. 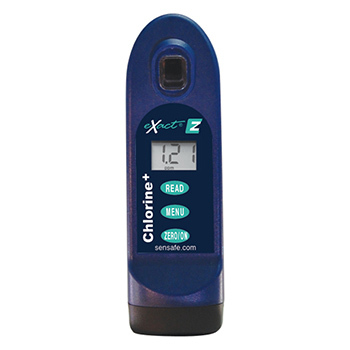 Make sure your loved ones are drinking and using safe water by frequently testing your water for chlorine. 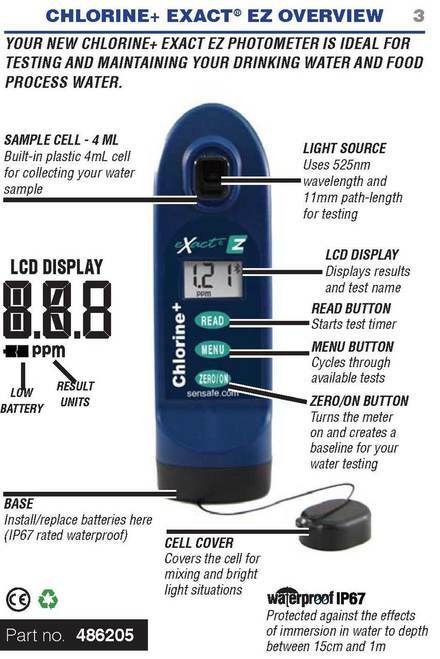 The eXact Chlorine Water Meter tests for 9 important water quality parameters. 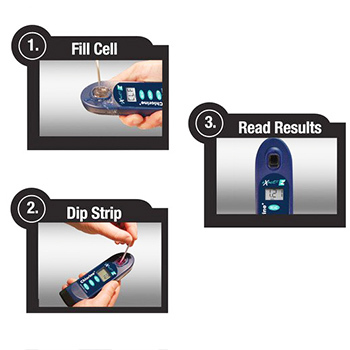 Simply dip an eXact strip reagent into a water sample for 20 seconds, discard the strips, and read the results when displayed. No glass, no powders and no tablets , and accurate results within 0.01 resolution. All test strips are available here. Designed in U.S.A., assembled in Taiwan.